It's an everyday misconception that we always have to spend a lot for quality. Since getting my first brush roll, I paid next to nothing for a set of quality brushes that are still doing me amazingly well 4-5 years later but I'm forever looking to add more brushes to my kit, the more the merrier. I want to point 2 things out, I use any brush for applications if they work well for me with whatever I'm doing and these brushes are amazingly soft! This brush has a tapered end that allows you to get into areas around your nose and eyes to apply your finishing powder all over your face. It's suitable with pressed & mineral powder. I've replaced my other finishing brushes with this one as I find it's more accurate for me to use on myself & others. Always a brush I need in my arsenal, I LOVE to contour just takes a one dimensional face to one that can revival Janet Jackson. The head to this one is smaller and has a medium density at the base of the bristles compared to my others. If you like to have a flawless finish to your make-up, I've found this brush could be the answer, being that it's got a small head it gives more control for areas on the face to buff in the foundation, I also like it to apply cream blush onto the cheeks and blend it out. This isn't the MAC dupe you might be looking for, if you're looking for the MAC 217 dupe, it's the C433 Pro Blending Fluff that you want. This brush is tapered and gets into the crease, it's got medium firm bristles that I've found gives good control. The bristles aren't as soft as others but it doesn't give a scratchy feel on the eye. MAC 224 dupe, maybe so. It's more tapered and dense than the 224, meaning that it also picks up a lot more colour. I've started to use this a great deal more to blend out my eyeshadow, I have to say, I quite love this brush. I actually like this brush to the point, I purchased another one at IMATS. It works well with gel eyeliner as it gives me a quick medium sized line as opposed to other brushes I may use. Now it also works with smudging out eyeshadows or pencil liner for the upper and lower lash line for that smokey eye look that a lot of us love. Compared to the C441 this is stiffer, not as tampered at the top, more oval. I grab for this if I'm looking to blend over the crease, instead of controlling it more like I would with the C412. How itty bitty are the bristles on the brush, aww! Yeah for some they might be squinting and wondering, well where's the bristles? It's 4mm in length but I love how small it is, I do prefer thinner brush tips to apply liner as it gives more of a precise and controlled line. Welcome to the family Crown. I've loved to use these on myself & others. I'm definitely going to invest in more of these brushes, they are great value for money. The only brush I found that shed a few hairs during it's wash was the C412. 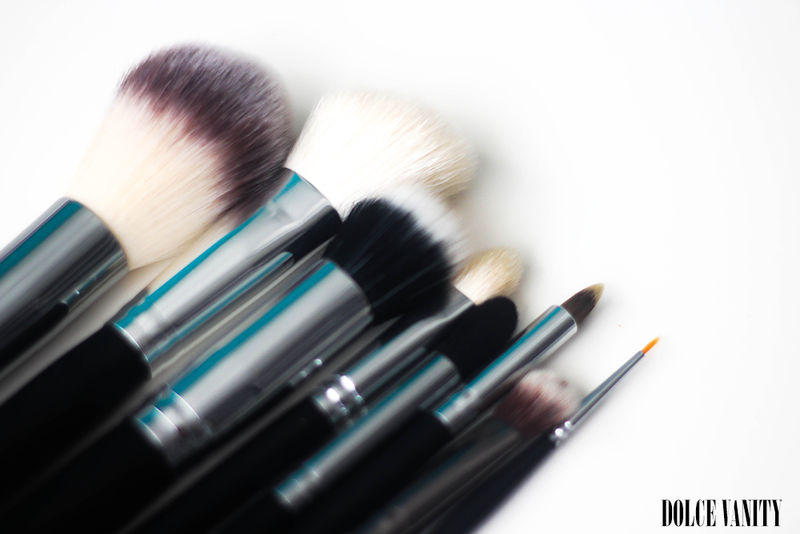 I always wash my brushes before first use and there still in good condition and keeping in good shape. 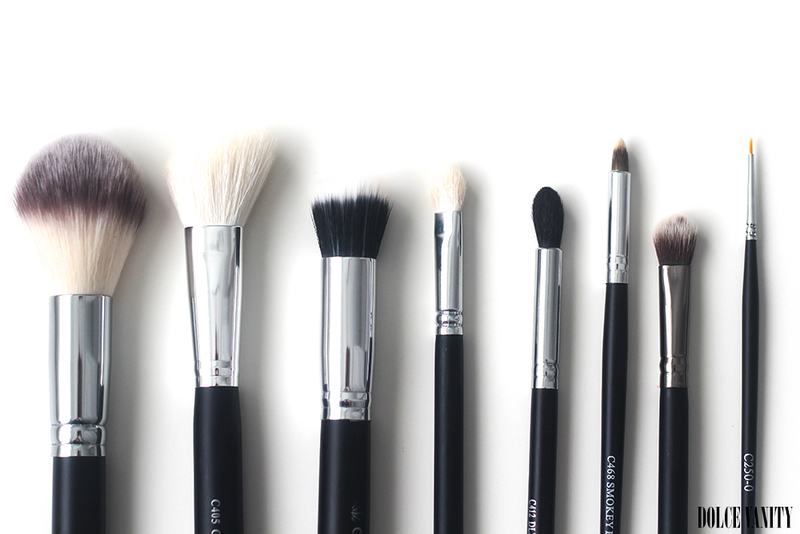 Do you own any brushes from Crown? Hmm...sounds decent! I'm on the lookout for some new brushes so I'll be giving these a once over. Thank you for the review! Those definitely look and sound fantastic. I'll have to look into getting them somehow Stateside. I'm always on the hunt for a good brush, that's not $30+ a pop.